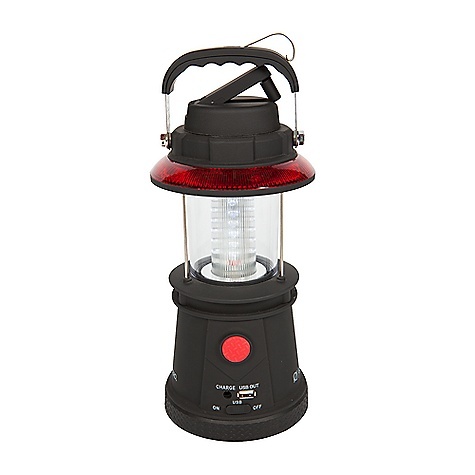 The Goal Zero Lighthouse USB Power Hub is versatile use it as a lantern, alert (blinks red), or charge your handheld device. Recharge the Lighthouse from the wall, car, crank (hand power), or from Goal Zero's Nomad 7 solar panel in 2-4 hours. On Sale. Goal Zero Lighthouse USB Power Hub Lantern FEATURES of the Goal Zero Lighthouse USB Power Hub Lantern Usage Recharge Time: 4 hours Run Time: 5+ hours Inputs 12V Port: Charging port (male car adapter), 12V, 0.5A max (2.5W) Hand Crank: 1W (1 min crank for 10 min run-time) Output Light: Power 1W, white LED, Life-span: 10s of thousands of hours, Visible Distance: 120 meters USB Port: 5V, 1.0A max (5W) Internal Battery: Lithium-ion 3.7V, 2.2Ah (8Wh), Life-span: 10s of thousands of hours, Visible Distance: 120 meters Battery mgmt. 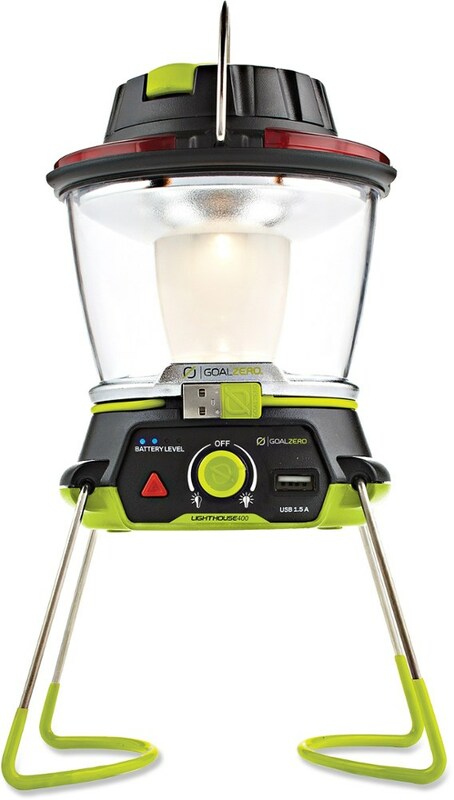 : Integrated and fully automatic SPECIFICATIONS of the Goal Zero Lighthouse USB Power Hub Lantern Weight: 2 lbs / 0.9 kg Dimension: 5 x 5 x 12in. / 12.7 x 12.7 x 26.7 cm Optimal Operating Temperature: 32-104deg F / 0-40deg C This product can only be shipped within the United States. Please don't hate us. Light up the house with Goal Zero's Lighthouse Lantern - the dynamo crank function allows you to charge it by human power or if that's not your thing, charge it using the AC or DC plug, or with your solar panel. When you need to add a little juice to one of your USB devices, go ahead and charge it with your lantern. 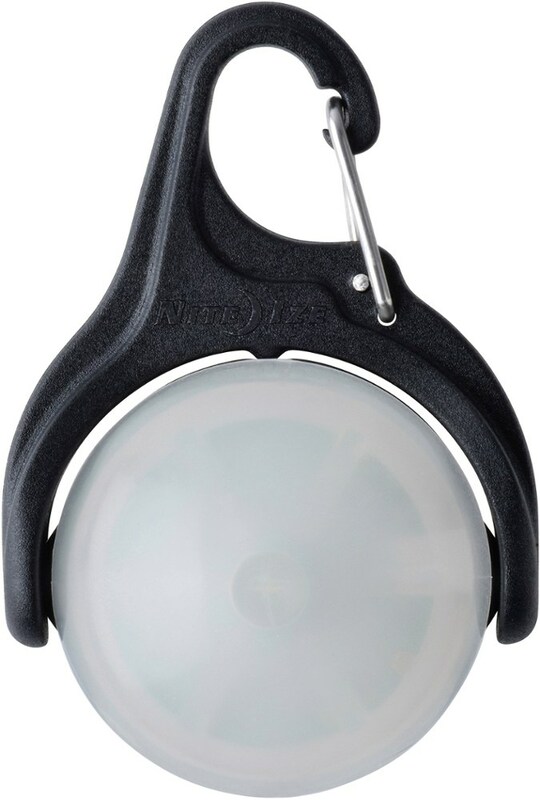 The hanger lets you carry it wherever it is needed and then hang it up to shed light a visible distance of 120 meters. 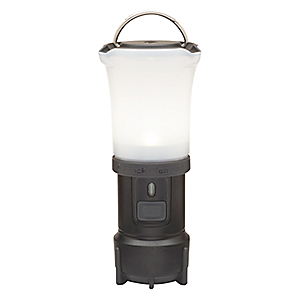 When the sun goes down, set up the versatile Goal Zero Lighthouse lantern to light up your campsite and power your important USB-compatible electronics. 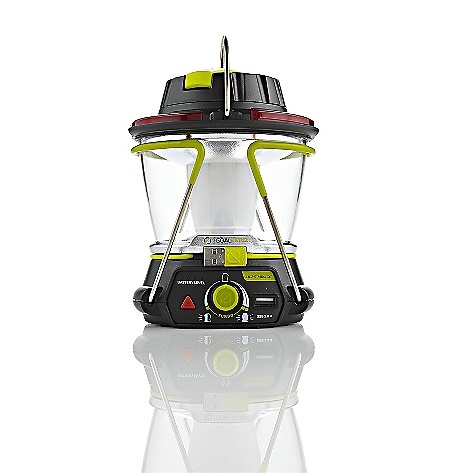 Hang the lantern up with the built-in handle and the 1-watt white LED will fill your campsite with bright light. Lighthouse lantern features a USB output that lets you charge any USB device, such as a cell phone, directly from the Lighthouse lantern battery. 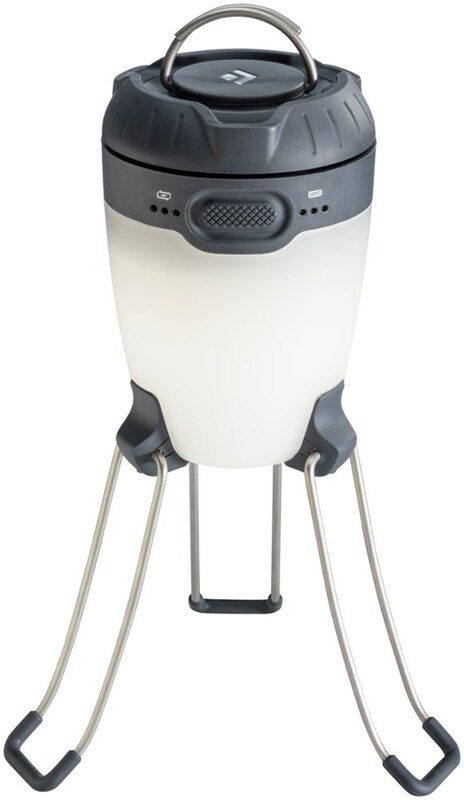 Recharge the lantern's lithium-ion battery via standard household outlet, vehicle power socket, the built-in dynamo crank, or with a Goal Zero solar panel (sold separately). 1 min. of cranking provides 10 min. of runtime; battery fully recharges via an electrical outlet in 4 hrs. and provides up 6 hrs of runtime. Goal Zero Lighthouse lantern includes an AC wall charger and a DC car adapter. The Goal Zero Lighthouse Lantern is not available from the stores we monitor. It was last seen July 31, 2014	at CampSaver.com.